Copyright 1999 by Tracy Marks. AND a retrospective....Michelle in 1994! 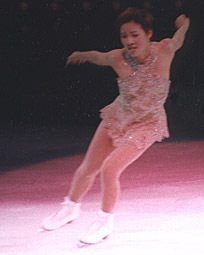 GO TO Michelle Kwan, COI 2000 NEW! Do sign my guestbook at Webwinds or Windweaver!